The best gluten free self raising flour on the market. Try it with your favourite traditional recipes, or we have a large selection of tried and tested recipes on our website to get you started. Make delicious gluten free pancakes, choux pastry, cakes, crepes, bread, pizza dough, profiteroles. This flour mix is now even better when baking sweeter products. If you’re coeliac or gluten intolerant, this flour is a must have in the kitchen pantry. Gluten free self raising flour available in an economical 1kg pack! There is also a zip-lock bag for ultimate convenience. Products made with this flour can be frozen and thawed for your convenience. This is a lovely and delicate gluten free Crepe recipe. The are really easy to make and even easier to eat. Serve with cream and strawberries. In a large bowl combine flour mix, water, eggs and margarine. Beat with an electric mixer or by hand until mixture is smooth and well combined. For Sweet Crepes add a couple of table spoons of caster sugar (this will increase browning). Let the mixture stand for ten minutes before use. Use a ladle to spoon mixture “to a lightly greased frying pan and cook for about 40 secs on each side depending on crepe thickness. 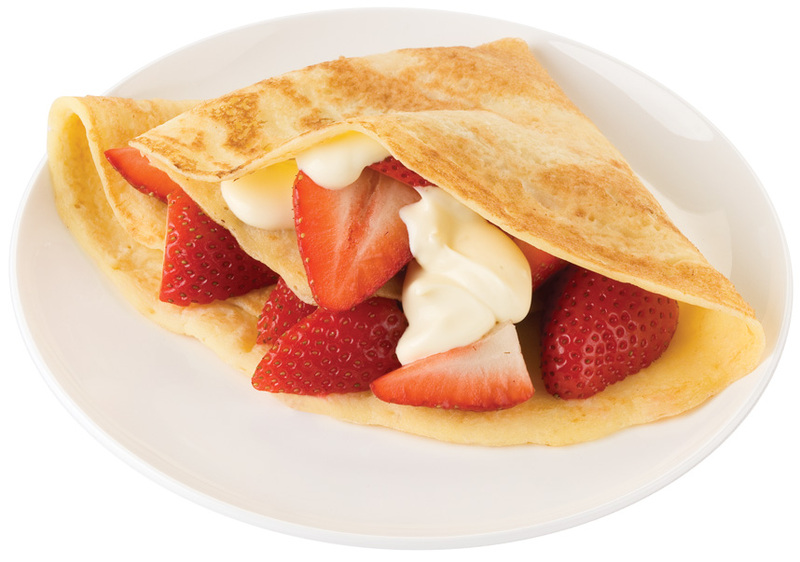 For Sweet crepes serve with strawberries and cream. For Savoury crepes serve with cheese and mushrooms.